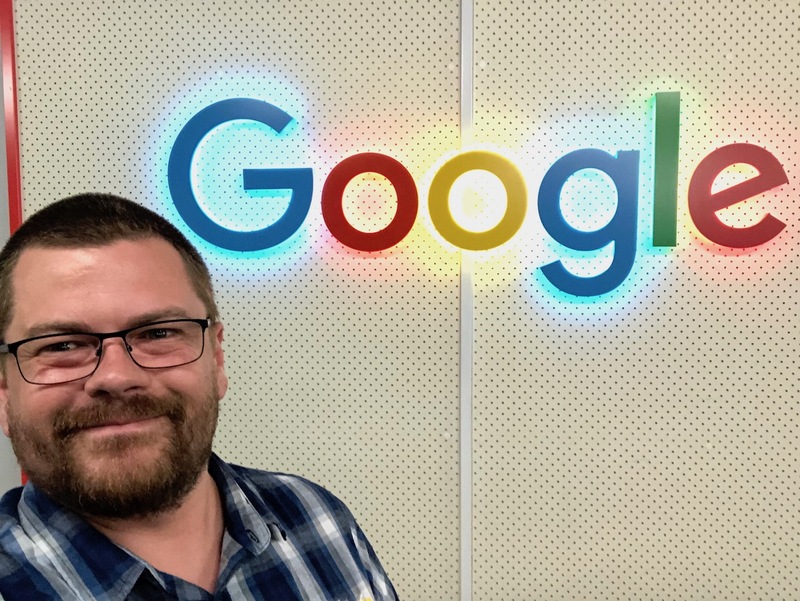 In January the CCGS ICT Department was fortunate enough to be able to spend the day together at Google. We all travelled down to Google’s Sydney office and checked out how the Googlers work. It was totally awesome! And of course, I needed the mandatory photo in front of the Google Logo! Their office is amazing, the best phrase that comes to mind is ‘Out of this world.’ You can’t deny that when they design an office, they go above and beyond making the office that everyone wants to work at. Though sadly for schools, not really an option. Don’t get me wrong, the experience there is amazing, and it would be awesome to work there. But bringing that type of setup into a school is just not something that school IT Departments can just do. And that is not because school IT Departments don’t deserve it, it is because Google Offices are how the entire company is designed. You can’t just ‘Google Out’ one department in a company. 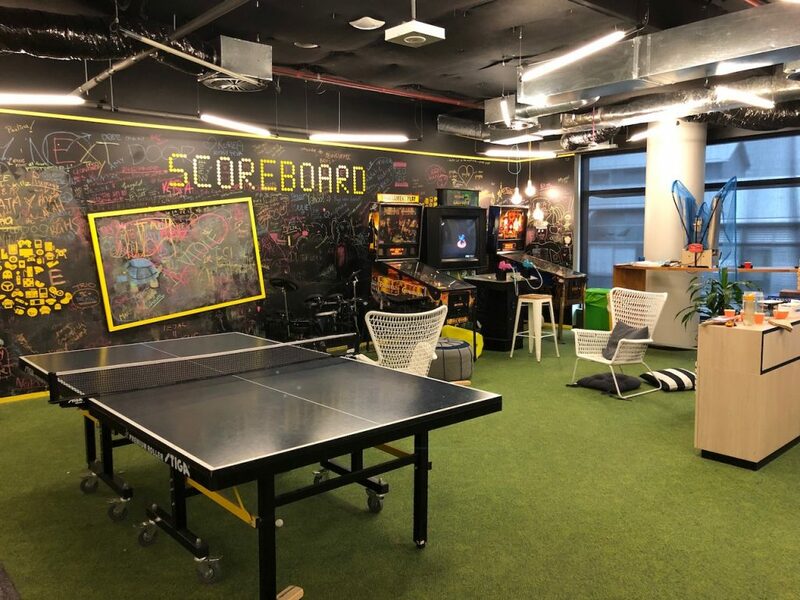 The Google Offices are not just about some great break out spaces, but about creating a company culture that allows everyone there to have their own space and also allows for departments to have spaces to relax and intermix their departments. 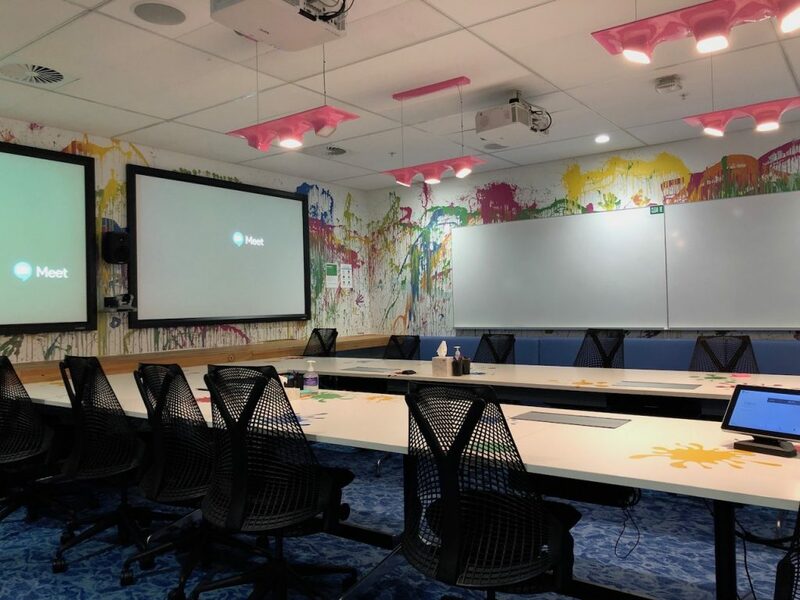 Google makes these offices to help with the ‘Bring your Whole self to work’ concept by Mike Robbins. And that concept can be used in any office, not just the awesome designed offices. Schools are always space poor, deciding if an area can go from just being a space to whether it is best for staff or teaching. Of course, you need both, you can’t just have all teaching spaces and one giant room for staff… it just wouldn’t work. 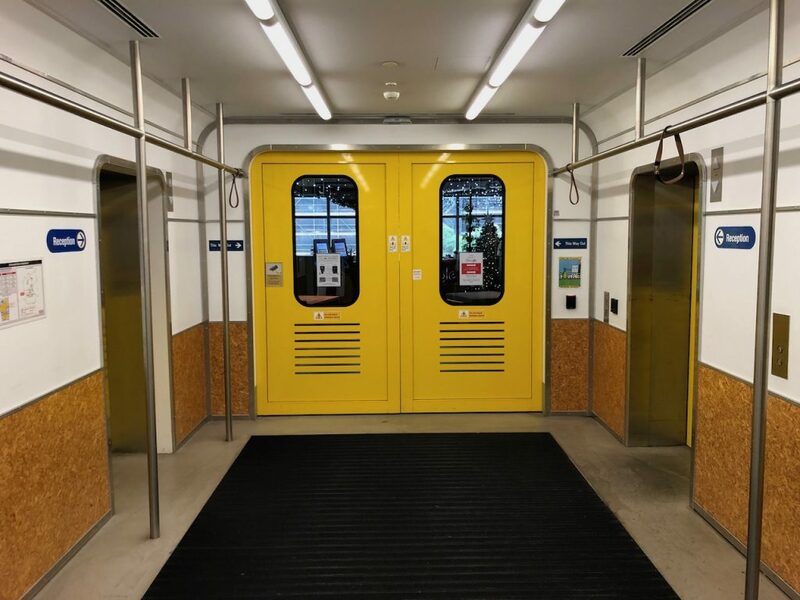 But if you are redoing say an ICT Department, you can’t claim massive spaces to have funky sleep pods or a monorail. It is sad but unfortunate, ICT Departments for schools need to be a little more function than funky. And you also need to think about your staff, if you are lucky you have more than 2 staff members making up your helpdesk. Those two members need to be at their desk or out helping people, they can’t be held up in a sleeping pod nor can they be working out of a cafe on a notebook. They need to be in a helpdesk area ready to take on the walk-in or call for support. In an ideal world, you have enough staff to always have someone to greet users and enough Helpdesk members so that there is always someone available to greet the next customer. I don’t envisage Google getting a lot of walk-in support requests. If you search for Google Support most of it is done by filling out Google Forms or their forums. From there you get an email or maybe a call-back if you are lucky. 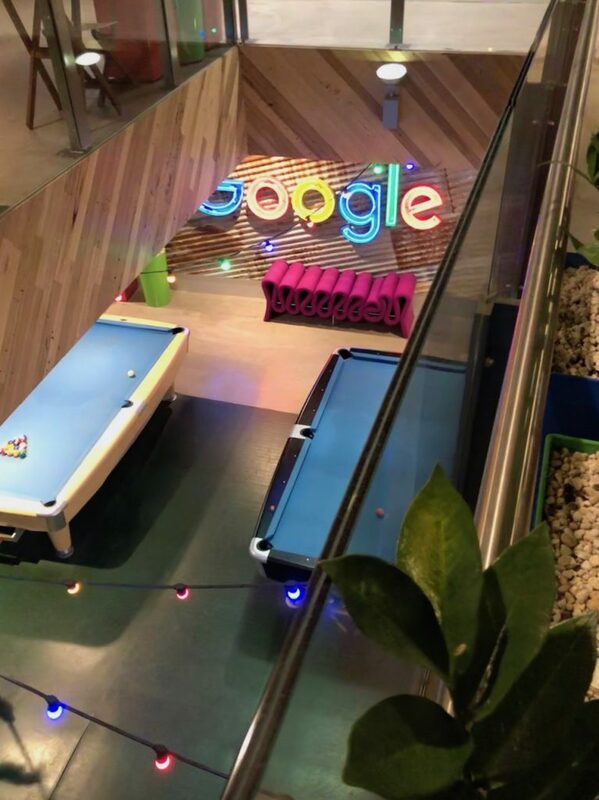 So in summary… I loved seeing the Google Offices, though I don’t think we can give CCGS Helpdesk Team ‘Come as you Go’ hours, monorails, pool tables, dance studios and cafes. Sorry. What CCGS ICT Department does offer is a great place to work, fun technology and a caring and respectful team! Stepping out of the lift. 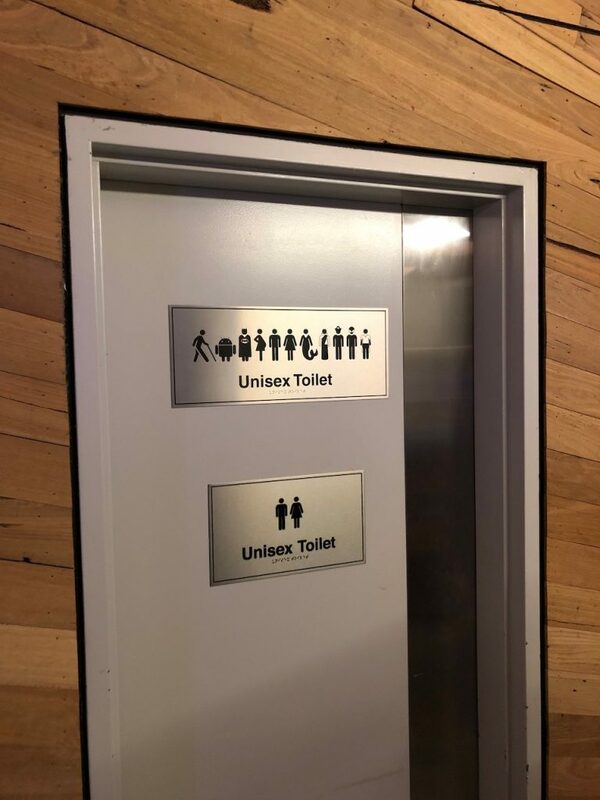 The bathroom sign; for male, female and even mermaids. One of the many pool tables for they staff to use. One of the meeting rooms. Each are planned by the team to use them. 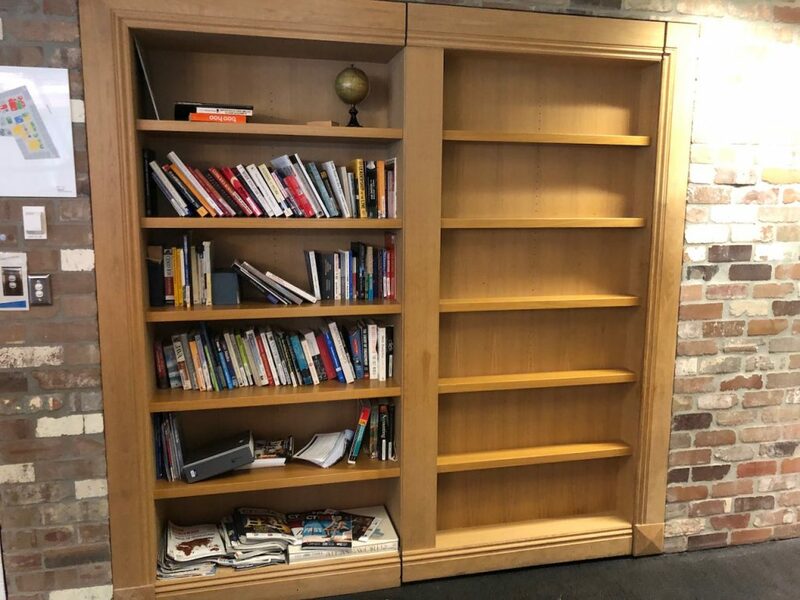 This book case holds a secret. 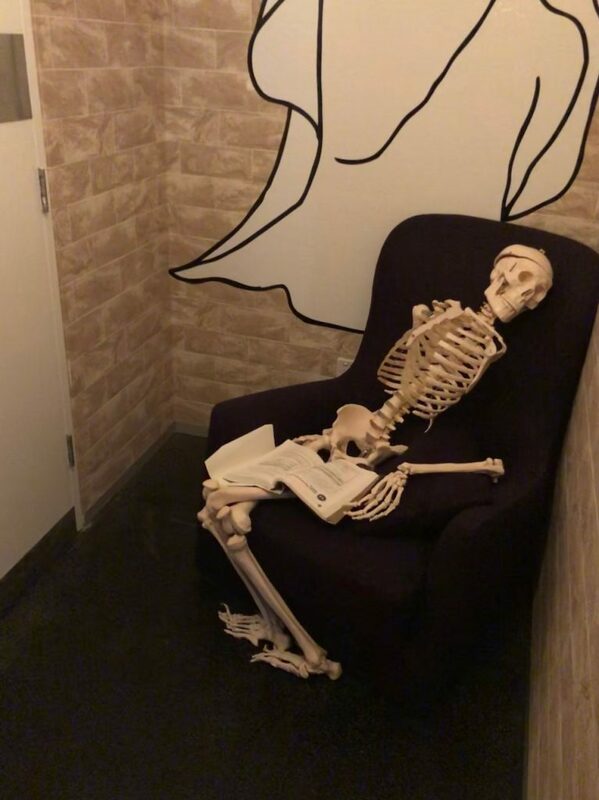 A hidden room, with a skeleton.